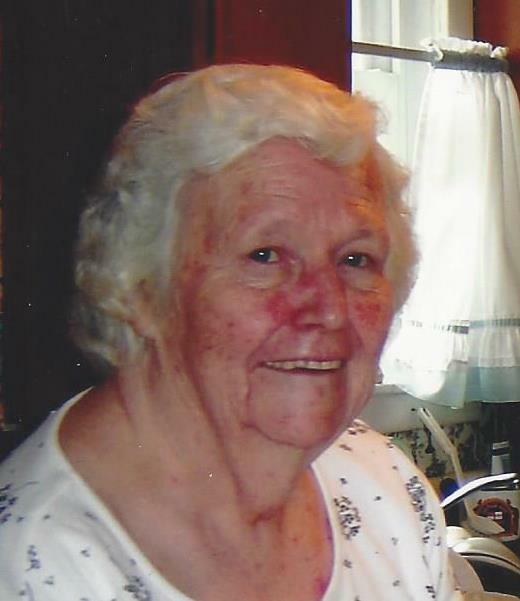 Obituary for Eleanor Marie Shak | McDonald-Aeberli Funeral Home, Inc.
Eleanor Marie Shak, age 94, of Mars, formerly of Bakerstown, passed away on Wednesday morning at UPMC Passavant Hospital in McCandless Twp. Born on October 3, 1923 in Bakerstown, PA, she was the daughter of the late Roy and Mamie Peaco. Eleanor was a loving woman who enjoyed knitting, crocheting, and cooking for everyone she loved. She had a heart of gold and will be missed by all. Surviving are her sons, Joseph Shak of Mars and Roy Shak of Cranberry Twp., her daughters, Donna Gibson of New Philadelphia, OH and Vickie Shak of Mars, 12 grandchildren and 26 great-grandchildren and two sisters, Violet Lawther of Valencia and Rachel Schell of West Alexander, PA.
She was preceded in death by her husband, Joseph Shak, who she married on March 6, 1943 and died on January 9, 2005; her daughters Mary Dash of Erie and Carol Sue Smith of Franklin, by her granddaughter, Letitia Dash, and by her brothers, Howard, John, and William Peaco. Friends will be received at the McDonald-Aeberli Funeral Home Inc., 238 Crowe Ave. Mars, PA on Monday June 18, 2018 from 2-4 and 6-8. Services will be held on Tuesday at 11:00 AM at the funeral home. Burial will be in Pinewood Memorial Park, Cranberry Twp. Memorials can be made to Family Hospice and Palliative Care, 310 Fisk St, Pgh., PA 15201 or Quality EMS, 222 Brickyard Road, Mars, PA 16046. Directions and condolences are available at www.mcdonald-aeberli.com.